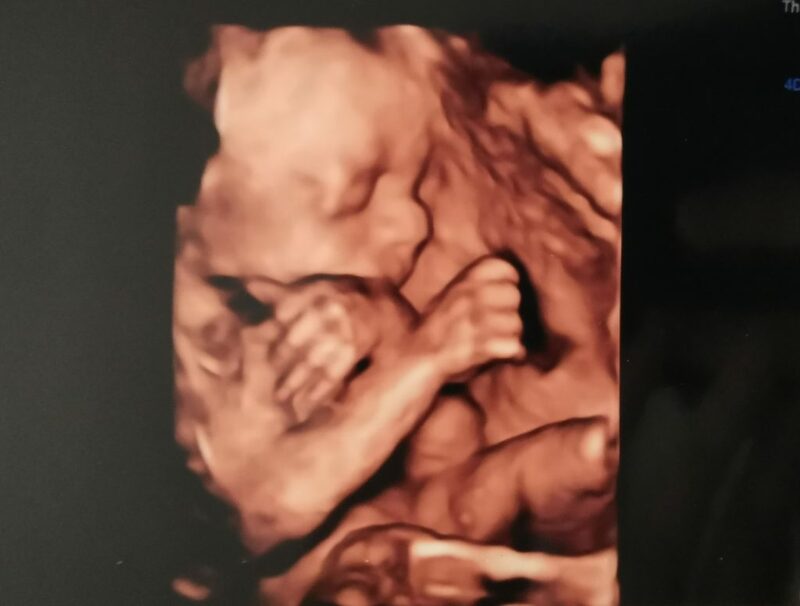 Despite this being our third pregnancy we have never had a 3D/4D scan before! 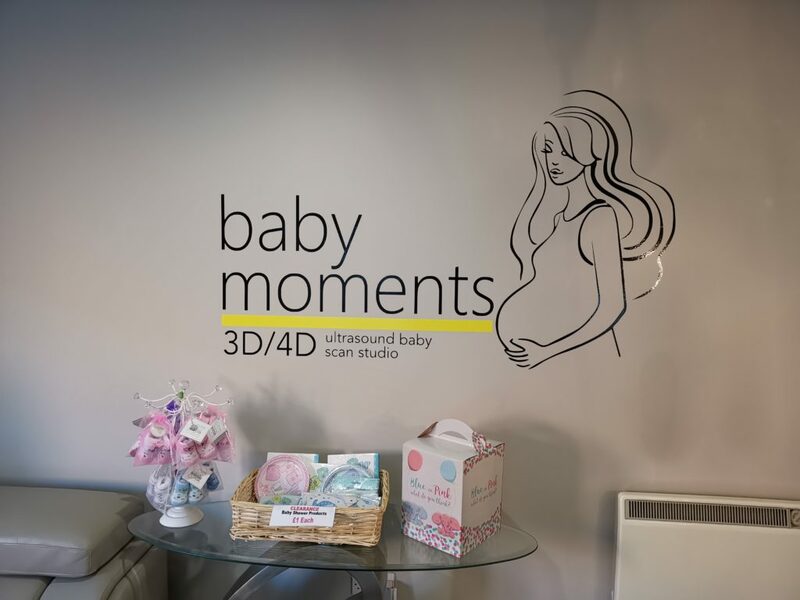 With Baby Moments 3D/4D Ultrasound Baby Scan Studio now right on our doorstep in Didcot there was no excuse for us not to try it this time round. I’ve seen photos before but wasn’t entirely convinced just how clear the scan would be. So what did we think? First impression of the studio is that its really private. The entrance is between 2 shops and leads to a number of different offices/companies so you can be really discreet about your visit. This is particularly important for a lot of people in those early stages where you haven’t announced your pregnancy yet. For me my bump is way too big to hide any more! The reception area is really big and comfortable. There’s a large sofa to seat extra family members as well chairs. The studio encourage you to bring as many people to your baby scan as you like. Having a baby is really special and it’s lovely to be able to involve those close to you. Children, grandparents, aunts, uncles, besties – take whoever you like! You can see from the certificates on the walls that Baby Moments is an award winning studio. 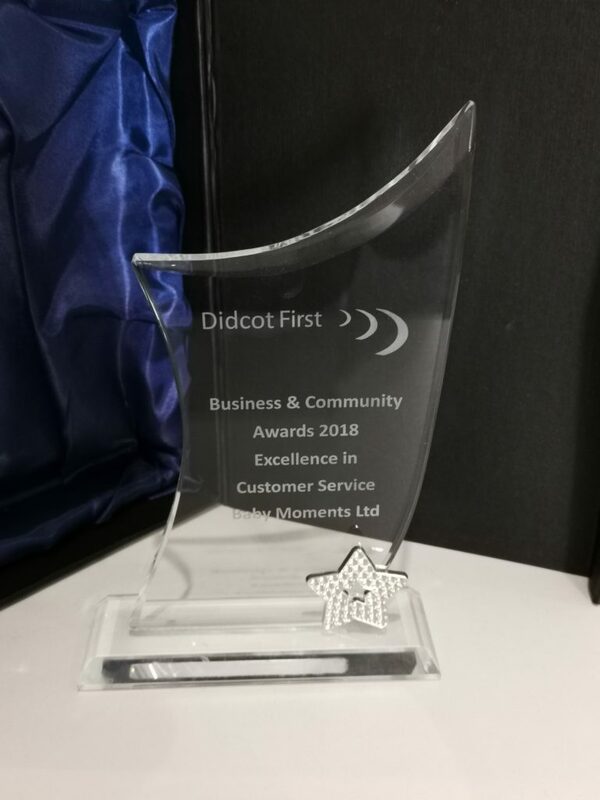 Most recently they won a Didcot First award for Excellence In Customer Service. They’ve also won awards for Best New Business and were finalists for Health and Wellbeing. Most importantly Baby Moments is Care Quality Commission (CQC) registered. This means they comply with all CQC safety and care requirements. Not all studios are registered so do make sure you check this when looking at any baby scan studio. Around the reception area there are some displays of merchandise you can purchase during your visit. There are baby items and a range of lovely photo frames. My favourites though are the teddy bears. 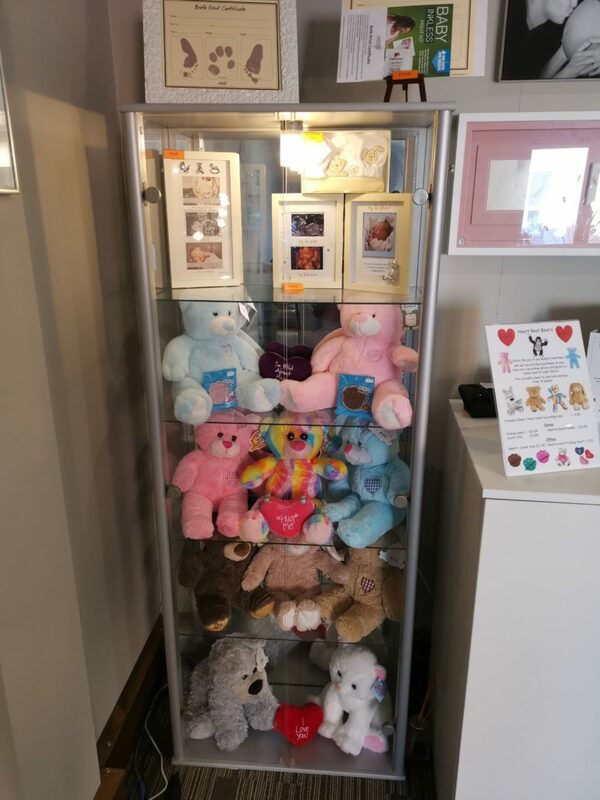 These are special teddy bears which can have the sound of your baby’s heartbeat put in. The heartbeat is recorded during your scan. Such a lovely keepsake! 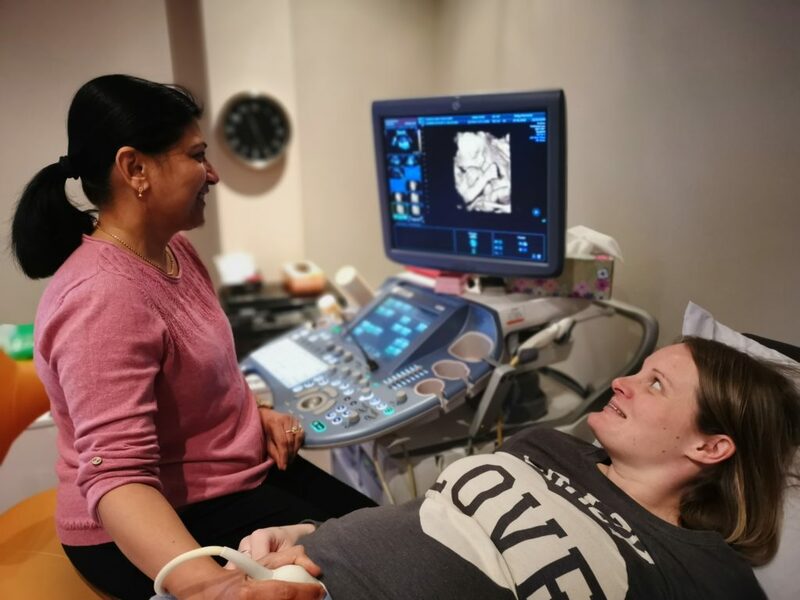 Our scan was carried out by a lovely fully qualified sonographer who really took the time to get to know us and explain everything she was doing. She has years of experience working at both the hospital and private clinics. We were able to see baby really well despite having an anterior placenta (placenta at the front of the womb). 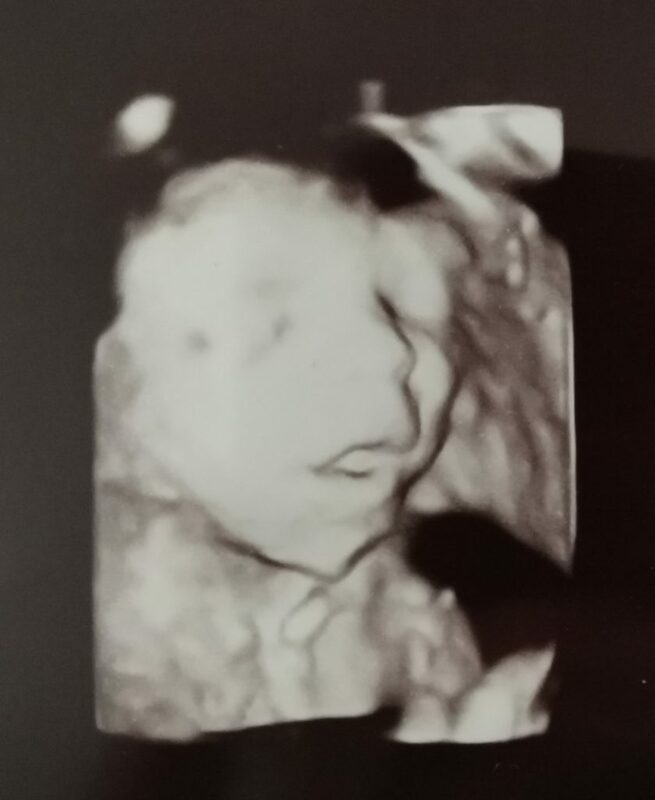 It was amazing to see all baby’s facial features so clearly compared the 2D scans we’ve had previously. It actually looks like a proper little person! The 4D images are really clear and lifelike. You can watch baby moving around. This little one kept putting its hands in front of its face to hide from us! We even saw it grabbing its feet and yawning. It’s fascinating to watch. The sonographer was great at capturing lots of images for us to choose from. You can also purchase a DVD of your scan which I think is another really lovely keepsake. As well as 3D/4D baby scans Baby Moments also offer a number of screening tests including Group Strep B, IONA and Harmony (Downs syndrome, Edwards syndrome and Patau’s syndrome). There is also outlook newborn screening tests available to check for lactose intolerance, coeliac disease, medication-induced deafness and bitter taste. Prices vary so please check with the studio for details. At Baby Moments ultrasound baby scan studio you always receive a personal service. Clients are given plenty of time so you don’t feel rushed. In instances where the sonographer has to give bad news to parents this is handled with great care and compassion. The centre will even contact your doctor on your behalf if you want them to and can provide images of what they’ve seen to pass on to your GP. They go above and beyond the call of duty to ensure every client receives the very best care possible. Booking online is super easy and you will receive confirmation of you booking and a reminder nearer the time. We think Baby Moments is an excellent choice for these services and highly recommend them. Disclaimer: We were provided with a 15 minute ‘Just a Peek’ scan and images free of charge in return for this review, however all words, images and opinions are that of my own. I only ever give honest feedback in my reviews.